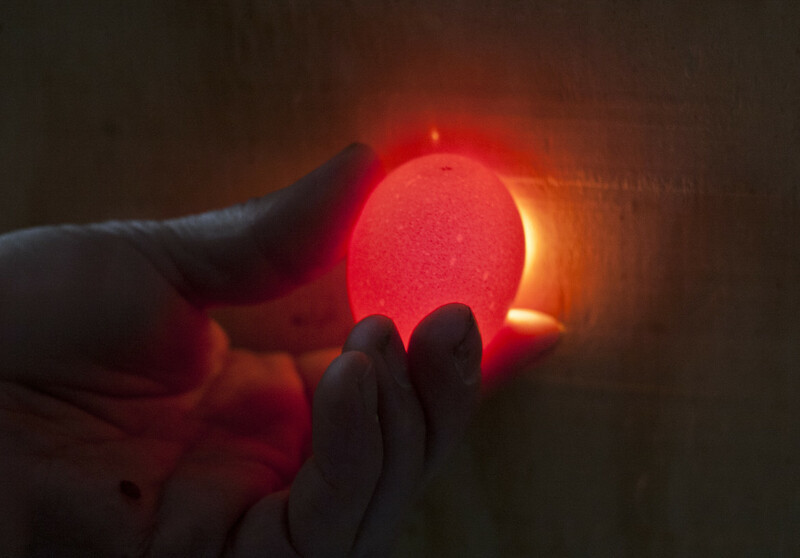 A farmer checks an egg for cracks at a farm in Campbell Hill, Ill. The Food Safety and Inspection Service is in charge of monitoring domestically produced eggs, along with meat and poultry, too. Multiple federal and state agencies have roles in the regulation of our food system. When a problem occurs, producers, consumers and even members of the media can have a hard time figuring out which agency to turn to for answers. For examples on reporting about meat, poultry and eggs, also see the series: "Cracks in the system" and "Food recalls"
Jurisdiction and responsibility can fall to more than one agency, depending on where in the distribution chain a problem was detected. The process also varies depending on the end product. For instance the inspection process for shell eggs -- eggs eaten by consumers in one form or another -- is different than that of hatching eggs -- eggs that will result in a live animal intended for meat production. In the event a product is adulterated, the type of contamination affects which action will be taken. For example, if ground beef tests positive for E. Coli, which is declared an adulterant, there will be a recall. However, if it tests positive for Salmonella, which is not declared an adulterant, there is no guarantee that a recall will happen. While each specific case can have its nuances, here is a general guideline for the oversight process of domestic production and distribution of chicken and meat. Animal and Plant Health Inspection Service: U.S. Department of Agriculture’s agency tasked with “protecting and promoting U.S. agricultural health, regulating genetically engineered organisms, administering the Animal Welfare Act and carrying out wildlife damage management activities,” according to its website. This agency checks on the well-being of live animals on the farm and monitors animal-housing conditions. It has a voluntary testing program to certify that eggs are Salmonella-free. 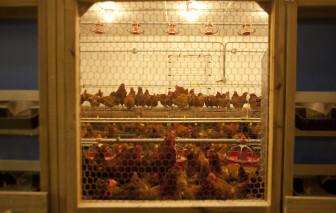 It helps establish Salmonella-free eggs for hatching. Chickens at the University of Illinois poultry farm on March 7, 2013 at Urbana-Champaign. Both the Animal Care and Veterinary Services branches may also be involved. Food and Drug Administration: The FDA is part of the U.S. Health and Human Services agency. It works in conjunction with USDA agencies, as well as state level organizations. It has responsibility for both food and pharmaceutical products distributed throughout the United States. On the farm, FDA has jurisdiction over live animals. It also has a program for regulating food additives and medications given to livestock. The Food Safety and Inspection Service monitors for animal abuse and misuse at the slaughterhouse. 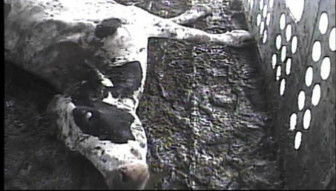 The agency conducted a widespread investigation when a 2008 video showed sick cattle being processed into food. Food Safety and Inspection Service: USDA’s food-safety and public-health branch that is responsible for ensuring that the domestically produced commercial supply of meat, poultry and eggs are safe. It also ensures that those products are appropriately packaged and labeled. FSIS manages the nationwide network of USDA meat inspectors. The agency also oversees the enforcement of humane handling of livestock. FSIS employs about 7,800 in-plant inspection program personnel who inspect more than 6,200 federally inspected establishments. The agency also offers an online list of fact sheets with topics that range from Slaughter Inspection 101 to Bovine Spongiform Encephalopathy -- or Mad Cow Disease -- to humane-handling requirements. Food and Drug Administration: The FDA has concurrent jurisdiction with USDA after poultry leaves the USDA-regulated processing plant. Food Safety and Inspection Service: Depending on the product, FSIS may also have joint oversight with the FDA on ensuring that proper temperatures and product integrity are safely maintained during shipping. The FDA works with the State Health and Agriculture and Food Departments to monitor this step in distribution. FDA also publishes the Food Code, a model document that provides a technical and legal basis for retail and other food service industries -- such as grocery stores, restaurants and institutional food services -- to develop their own food safety rules. In 2011 the FDA launched the Coordinated Outbreak Response and Evaluation Network. “The CORE Network is comprised of a multi-disciplinary team of epidemiologists, veterinarians, microbiologists, environmental health specialists, emergency coordinators, and risk communications specialists,” according to the FDA website. CORE works closely with the Centers for Disease Control and Prevention, USDA, and state public health and agriculture agencies in human and animal foodborne illness outbreaks. 1. Determine whether reported human illness is associated with an FSIS-regulated product. 2. Identify the source and the distribution of suspect meat, poultry or processed egg product. 3. Gather information that FSIS can use to guide its response to the product associated with reported illness. 4. Develop information to guide efforts to prevent further exposure of consumers to the contaminated product. 5. Collect information and evidence that can be used to support or lead to an enforcement action or to request the recall of the identified products that arises out of the incident in question. 7. Prepare a report on the results of the illness investigation. 8. Recommend actions or new policies to prevent future occurrences. Centers for Disease Control and Prevention: The CDC, which is a branch of the U.S. Health and Human Services agency, works with the FDA, FSIS and state agencies in the event of a multi-state outbreak of foodborne illness. The agency will issue an advisory to consumers of the outbreak, and maintain a page related to the outbreak on its website. Here is a link to CDC information regarding the multistate outbreak of Salmonella Heidelberg that was linked to Foster Farms chicken. In addition to the various state level health and agriculture and food departments, the FDA, FSIS and CDC may also use in-house and outsourced laboratories for product and serotype testing. Food and Drug Administration: The agency maintains a detailed list of products that have been recalled in the United States. The list includes more than food products. Food Safety and Inspection Service: The agency has the authority to seize an FSIS regulated product that has been clearly linked to foodborne illness. The agency works under the authority of the FSIS Directive 8080.1 Recall of Meat and Poultry Products, which was reissued in September 2013. You can find a list of recalled products on its website here. 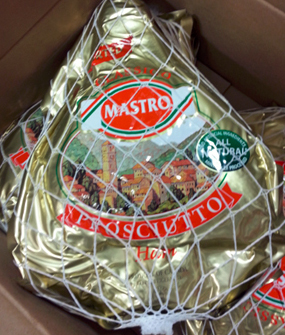 On Dec. 6, Santa Maria Foods of Ontario, Canada, issued a recall for about 2,600 pounds of its boneless ham prosciutto product because of a possible Listeria monocytogenes contamination. “Although it is a firm’s decision to recall product, FSIS coordinates with the firm to ensure that it has properly identified and removed the recalled product from commerce by verifying the effectiveness of the firm’s recall activities." "A recall may be an alternative to FSIS detention or seizure of adulterated or misbranded products. However, a recall does not preclude FSIS from taking other appropriate actions, such as issuing Public Health Alerts or performing product detentions and seizures, to mitigate the risk to the public when firms have inadequately removed recalled product from commerce. The Agency will investigate if it appears that a firm’s recall strategy or execution of that strategy is ineffective. Based on its findings, FSIS may seek enforcement action against the recalling firm or its consignees." "For recalls conducted by state-inspected firms or retail establishments, the appropriate state agency verifies the recall in most cases. If requested to do so, FSIS will provide the state agencies with appropriate assistance and information." Food Safety and Inspection Service: The agency recently announced a new Salmonella Action Plan to specifically address challenges to the agency and meat industry. The Centers for Disease Control and Prevention: The agency maintains a Salmonella related informative section of its website where you can find out about the latest Salmonella outbreaks, learn about the various serotypes of the pathogen and see public health announcements.